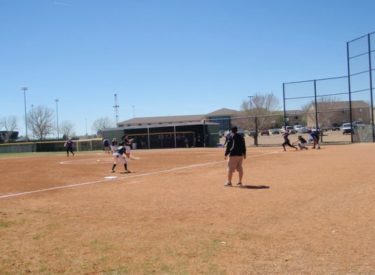 The Seward softball team won game one over #9 Butler 3-1 Wednesday at Lady Saints Field before Butler took game two 8-0 in a run rule and took back command of the Jayhawk West. In game one, Sydney Cicchetti improves to 18-3 after working out of a seventh inning jam for the win. Slap hitting center fielder Leah Sitter hit a two run homer over the right field fence in the fifth to give Seward the 3-1 lead. Breanna Diaz was also 2-2 with an RBI. In game two, Butler out hit Seward 12-2 in a dominating win giving the Grizzlies three wins in four games over Seward. Seward is 29-9 overall and 6-4 in the Jayhawk West while #9 Butler is 24-6 overall and 7-1 in the Jayhawk West. Seward plays Maplewoods (9 a.m.), Johnson (1 p.m.), and Connors State (3 p.m.) Saturday in El Dorado.